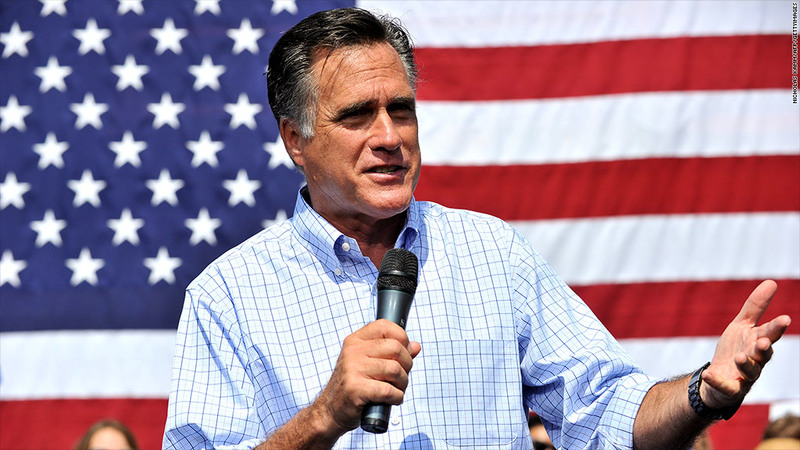 Mitt Romney's tough talk on China has many big businesses worried. U.S. business executives are growing increasingly worried by Mitt Romney's vows that he'll crack down on China's trade policy if elected. The Republican challenger's tough talk on China and trade was on display once again as he attacked the trade case filed Monday with the World Trade Organization by the Obama administration to limit Chinese auto parts exports as too little, too late. "President Obama has spent 43 months failing to confront China's unfair trade practices," said Romney in a statement. "I will not wait until the last months of my presidency to stand up to China, or do so only when votes are at stake. From Day One, I will pursue a comprehensive strategy to confront China's unfair trade practices and ensure a level playing field where our businesses can compete and win." But many businesses, especially big businesses, are worried about some of the steps that Romney has vowed to take, including declaring China to be a currency manipulator. That could be the first step of imposing trade sanctions, and blocking government purchases of Chinese good. They fear such steps could raise their costs on goods and services they now buy from China. They also fear a trade war with China that could limit their own opportunities in what is now the world's No. 2 economy. "China has a well-established practice of retaliating when the U.S. does something it thinks is out of bounds," said Gary Hufbauer, senior fellow at the Peterson Institute for International Economics, and an expert on trade sanctions and trade wars. Hufbauer said at this point many businesses he speaks to are hopeful that Romney won't actually follow through on some of his campaign rhetoric. "I think at this point they're assuming it's tough talk, but the tougher it gets, the more they get nervous," said Hufbauer. The Club For Growth, a conservative policy group that has a strong pro-business, free-market point of view, issued a statement Monday criticizing both Romney and Obama for their "China bashing." "Both candidates are trying to portray themselves as the 'toughest' on China when it comes to trade," said the statement. "They have both threatened to enact anti-growth policies against China that will raise prices, incite a trade war, and do real damage to our country's economic recovery. China-bashing will only serve to hinder economic growth." The Romney campaign did not respond to a request for comment on the group's statement. The Obama administration defended the latest China trade cases it filed Monday, saying it was the proper action to protect U.S. workers. It also said the case had been in the works for months and was not tied to the election campaign. Daniel Rosen, a partner at the Rhodium Group, a New York consulting firm, said businesses he talks with are split in what they think Romney will mean for trade with China. "Certainly there are many businesses that are concerned," he said. "And there are businesses that think this will blow over, either because Romney won't be elected or this talk will be watered down by the time he takes office." But Rosen said while many businesses he talks to hope that Romney's China talk is tougher than his policy would prove to be, "at least some business interests are concerned there is a lot of short-term bluster that will be hard to back away from." Not all businesses are upset by Romney's positions. Some, especially smaller manufacturers, have been calling for a more activist stance in Chinese trade relations, and they welcome Romney's tough talk, even if they also are uncertain how much he'll follow through. Alan Tonelson, a research fellow at the U.S. Business and Industry Council, a group representing 2,000 smaller manufacturing companies, said he's hopeful that Romney would impose the kinds of sanctions on China that his group has long advocated. But he's not convinced.